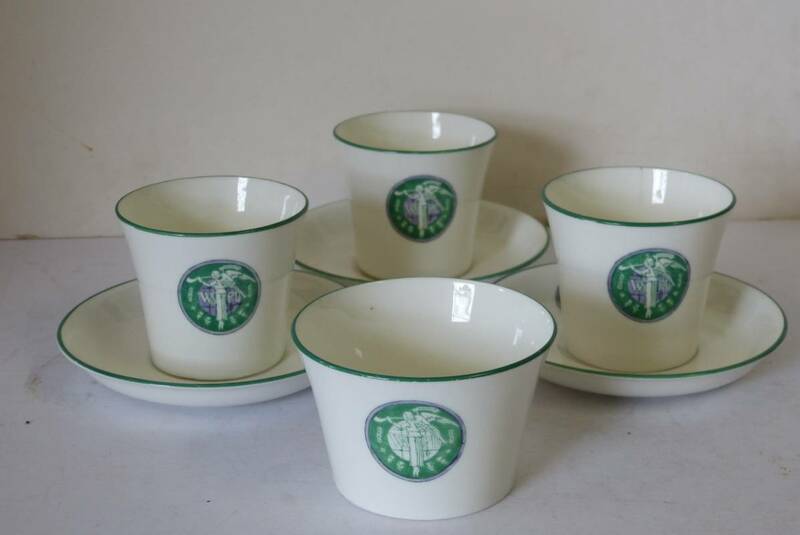 Available at auction on April 25th is a lot comprised of seven pieces of a tea service (three cups, three sauces, one sugar bowl) with a logo designed by Sylvia Pankhurst in 1909. 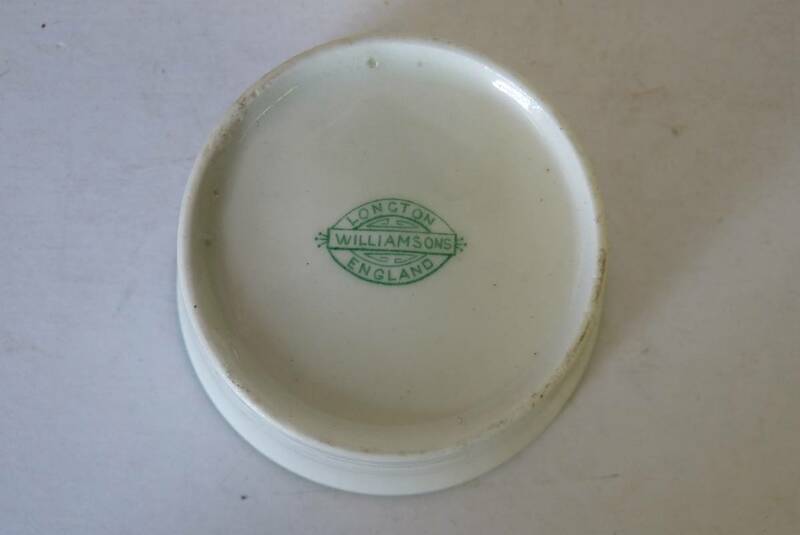 The tea service was originally produced by commission from HM Williamson of Longton in Staffordshire for use in the Women’s Social and Political Union (WSPU) exhibition at the Prince’s Skating Rink in Knightsbridge in May 1909. The purpose of the exhibition was to introduce the concerns of the WSPU, most notably women’s suffrage, to the general public in a way which would dispel the negative stereotypes usually associated with the women’s movement. Visitors to the exhibition could browse among the works of women artists, seamstresses, milliners, and local food producers. They could hear speeches by eminent activists and debate contentious issues in a decorous atmosphere. They could also visit a replica gaol cell to illustrate the harsh conditions under which suffragettes were held when imprisoned. 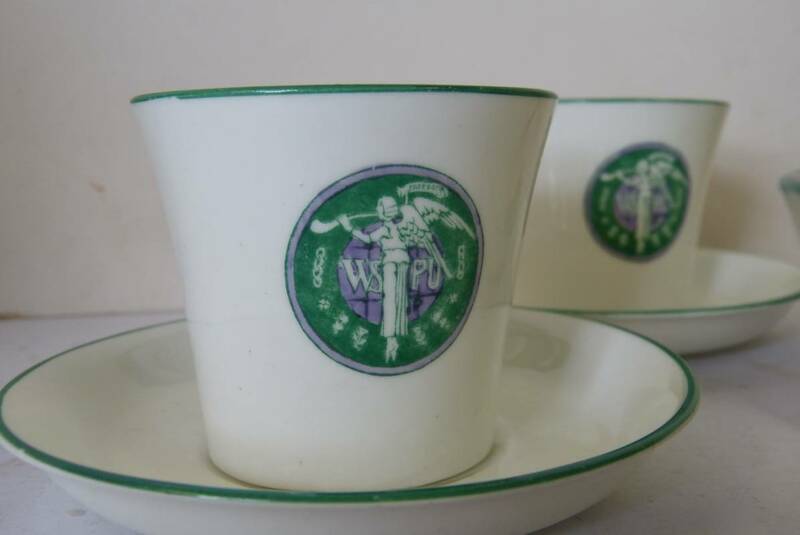 And, of course, visitors could drink tea from the specially commissioned tea sets. Pankhurst’s logo is in three colours: white for purity, purple for dignity, and green for hope. According to historian Anne Sebba, the logo is based on a psalm “They that sow in tears shall reap in joy.” The winged woman of the logo is sowing grain with a flight of doves above her and various wildflowers at her feet. The original tea service was divided into sets of 22 pieces which were sold off at the end of the exhibition. For more information about the auction and these pieces please contact us. For more information about the historical background of the pieces please go to annesebba.com.